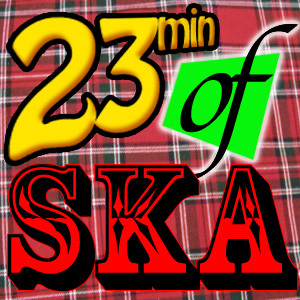 This entry was posted in Uncategorized and tagged 23 minutes of ska, 23min of Ska, 23ska, abraskadabra, Green Room Rockers, Inspecter 7, Johnny Cakes & the Four Horsement of the Apocalypso, ska podcast, the Amalgamated, the good skamaritans, the Pandemics. Bookmark the permalink. Thanks for the kind words about our record! It’s a good record, it needs to be heard!